I have always wanted to try to make these little things ever since I saw them on Instagram. I even bought the carving tool and a bunch of plain erasers a couple of months back but I guess I was too busy with whatever else that I only got to it a few days ago. 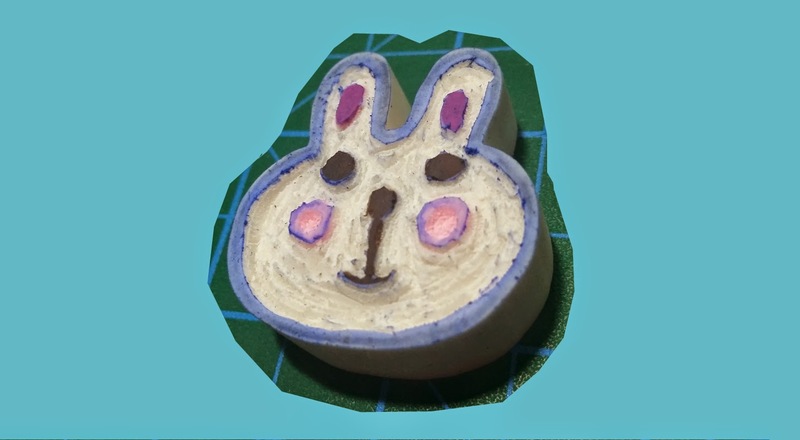 It was actually planning on doing it on plain erasers but I found these erasers with animal faces in them, so I cheated a little, shoot me. Haha. a pre-designed eraser. It's good to start with something that you can easily work around. a black pen. Any pen will do. As you can see, my eraser does not have an outline so what I did was trace the edge of the eraser so your stamp will have a shape. Of course, if your eraser has a fine outline, you can totally skip this step. 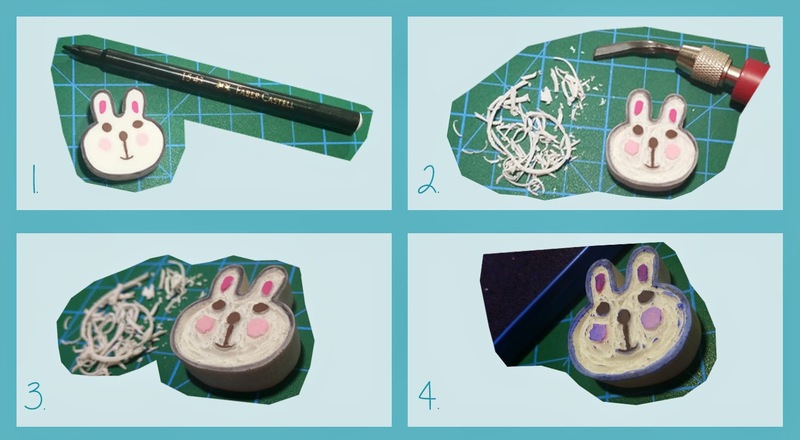 Start carving the white spaces of the eraser and leave the design uncarved. I used the number 1 cutter around the ears (they're quite small) and the number 2 cutter on the face area. Make sure all of the white parts are removed. 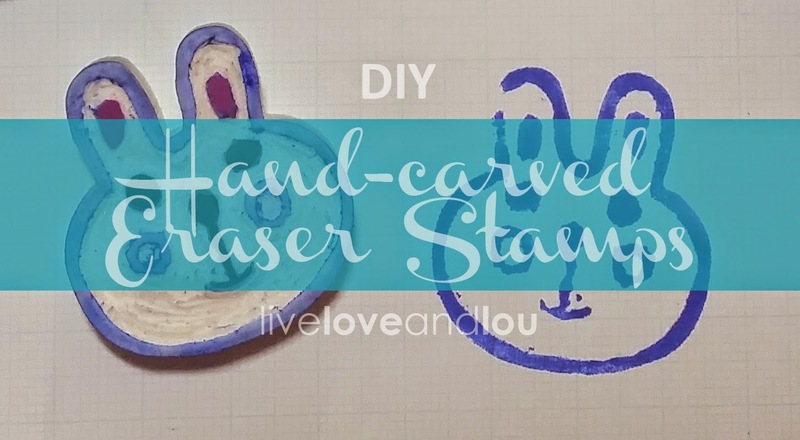 To check, you can press it against the stamp pad to see if there are other areas you need to remove (you see those small bits that touched the pad, you have to cut that out because that will totally be reflected on your paper). If you notice, I had to cut off the center of her pink cheeks, it looked like she had 4 eyes. And yes, I'm calling her a "she". Haha. Here's what it looked like afterwards and on paper. I really had fun doing this, especially since my husband was right beside me painting his Gundam models. Yes, we're weird like that. We're like children playing with small things. Maybe I can convince him to post something about his toys once he finishes one of them. wow cute. ikaw talaga gumawa nian? Yes I did. Try it, it's fun to make and very easy. Thanks Em! How's the status of your child's erasers? have you murdered them yet? Haha. Thanks! Yes, I did make them. Hi, I've nominated you for a Liebster Blog Award. Check it out! 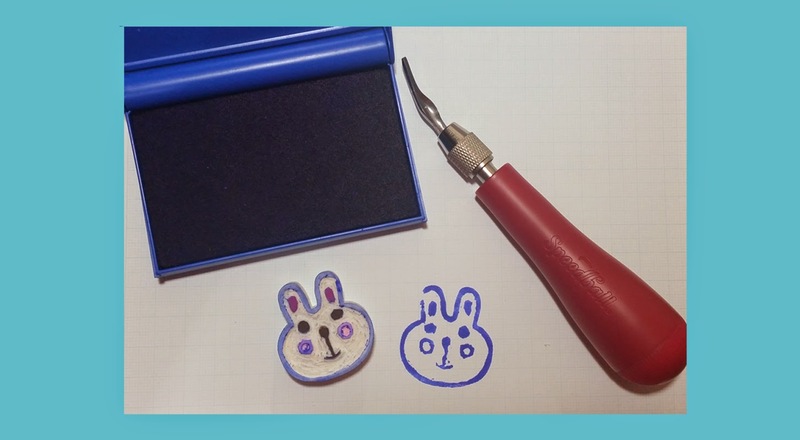 By the way, I'm saving up to buy a Speedball Cutter, getting back into crafting and I am eying hand-carved stamps in particular. Great post! Thanks for the nomination Anne! 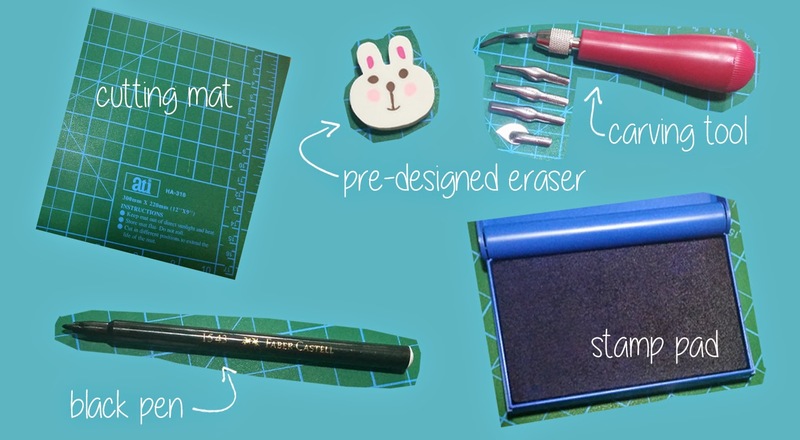 The cutter is really a good investment if you're planning on getting back into crafting. I still practicing on erasers for the time being. I went to the Gundam cafe i Tokyo last year:) Maybe you can make him a Gundam stamp? I'm sure my husband would love to visit that cafe sometime. A gundam stamp is a good idea. I might make one next.